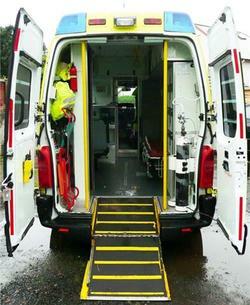 Welcome to the Glengormley Ambulance and Rescue Unit Website. We are a non-profit making voluntary service (Donate). The Unit recruits and trains volunteers from all sections and genders of the community in the skills appropriate to the provision of the services described. We also cover administrative work and radio procedure. We hold Volunteer Ambulance Aid classes, which are organised according to their age and ability. These volunteers are trained to a recognised in-house certificate level. We provide Ambulance Transport and Ambulance Aid presence for persons and organisations having need for such facilities in the event of injury, disability, sickness or any other related circumstances. We have three multi-purpose front line accident & emergency ambulances with fully automated defibrillator's (Physio-Control Lifepak 500 A.E.D.). We also have a number of community transport cars. The service has extensive medical malpractice, including comprehensive insurance and public liability for on-road / off-road events. All services subject to availability and services fees may apply. 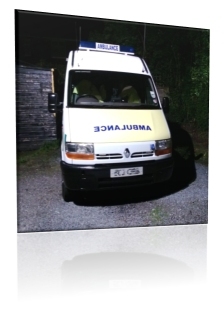 Glengormley Ambulance & Rescue Unit was established in 1983. 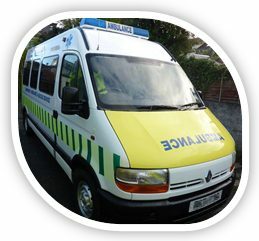 We provide voluntary Ambulance Aid and provide cover for the benefit of the community in the Newtownabbey area, and when required, in Northern Ireland in general.